Christmas themed horror movies are notoriously awful. Black Christmas, Jack Frost, and Santa’s Slay being some of the most notable and laughable attempts at the holiday themed horror. Most of which came from the massive explosion in the 1980s during the slasher genre craze, where ever single holiday seemed to get the scary movie treatment. Yes, that’s as cringe worthy as it sounds. While there have been a few that bred a cult following, Silent Night, Deadly Night in particular, one could normally considering the concept of a Christmas themed horror movie a joke. Yet, I cannot help but be intrigued by Krampus‘ premise. Having an “Anti-Saint Nick” is an interesting premise, especially with it seeming to ditch the whole evil Santa vibe. What really stood out to for this film was actually the cast itself, as it’s not filled with your typical horror actors. Adam Scott (Parks and Recreations), Toni Collette (Little Miss Sunshine), and David Koechner (Anchorman) headline this Krampus, which almost makes one think this will be a bit of a dark comedy as well. Though you should really check out the trailer below before we continue on. See, if you would have just told me to watch a film about a Christmas demon coming to ruin some poor disgruntled family’s holiday I would have dismissed it fairly quickly. And somehow, there is something intriguing about Krampus I just cannot place. The director, Michael Dougherty is actually no stranger to horror, as he was the mind responsible for the superb Trick-r-Treat. What do you guys make of this holiday monster movie? 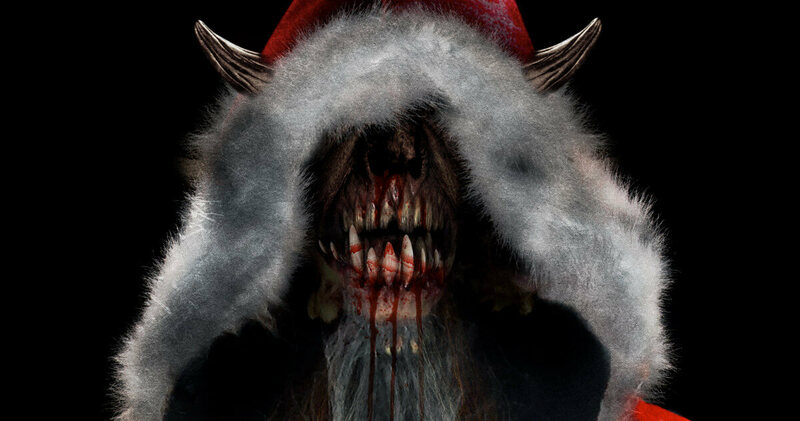 Is it possible Krampus may break open the door again for the holiday theme monster movies to return? Am I just crazy and does this movie just terrible? Sound off below! Arcade Documentary King of Kong to be a Musical?